I think someone's put on here somewhere that even he realises they are worthy of a spin off but he just hasn't got time. He did hint they may return though. I thought they were brilliant - so well realised in such a short amount of screen time. But then the idea behind them is so great - a Silurian detective hunting down Jack the Ripper & other villains in Victorian London with her trusty human sidekick & lover. Fab! They totally deserve to come back somehow. Someone has to make it happen! What an excellent pair of characters these were. I really hope we haven't seen the last of them. I know there was talks of spinoffs and stuff at the time and I would love for something to come of that. I genuinly think they could carry off a series of their own, be it audio or on screen or whatever, but I really hope we see them in the main show again. I'm even more keen since their return. They were excellent at Christmas and I am so glad that Moff brought them back. 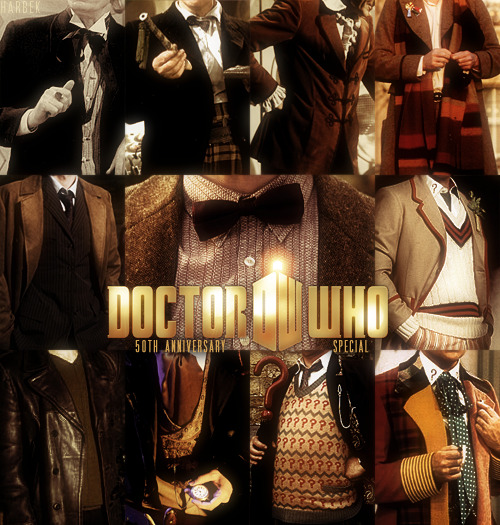 I think Strax should probably be included here too. He's hysterical and it seems they all come as a team. Unless someone wants to give him his own thread?